This 7-night cruise through the Rhone River Valley is just 129 miles from start to finish. Within this relatively short distance the scenery transitions from the verdant green French countryside of Lyon, Beaujolais and Tournon, to the more arid, Mediterranean hillsides of Provence, with the truly Roman cities of Avignon and Arles. The ancient Romans used the Rhone River as a nautical highway to conquer France, planting vineyards on the steep hillsides that produce that today produce the remarkable and highly prized wines of Cotes-du-Rhone, Condrieu, Cote-Rotie and Chateau-Neuf-du-Pape. Visit the UNESCO World Heritage sites of Pont du Gard and Palais des Papes in Avignon, the coliseum in Arles and historic wineries along the way. Rhone wine varietals and blends include Syrah, Grenache and Mourvedre. The cuisine here is marvelous and will not disappoint! Lyon is considered the gastronomic capital of France. Join your hosts Greg and Kristen Koenig on board the lovely AmaCello, sampling their best wines, paired with regional cuisine. Special events are planned along the way! Winemaker Greg Koenig founded Koenig Vineyards in 1995 in the Sunnyslope district of the Snake River Valley in southwest Idaho with the idea of producing small quantities of fine, hand-crafted wines in the European tradition of his father’s Austrian heritage. Over the past 23 vintages, Greg has earned a reputation as one of the Pacific Northwest’s top producers. The wines of Koenig Vineyards focus on quality and continuous determination to craft wines of unique character and distinction. 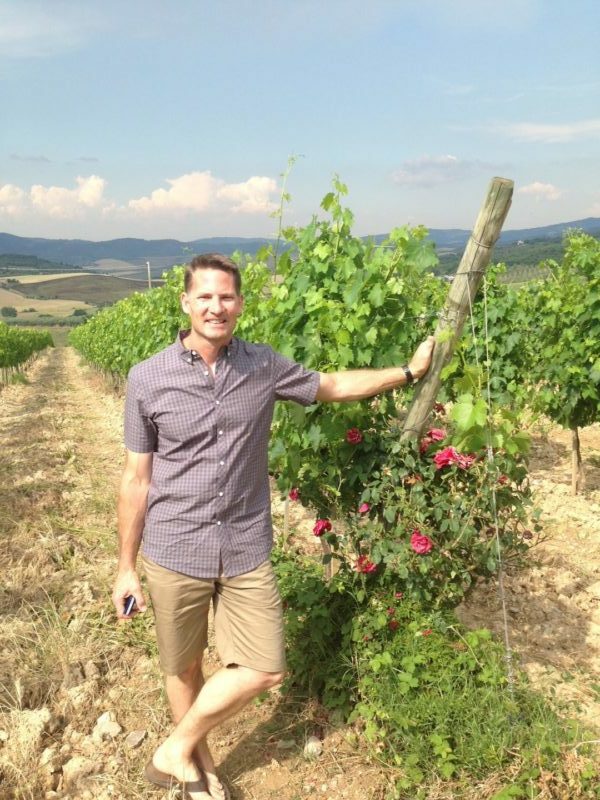 A classically trained architect, Greg has a particular affinity for Mediterranean food, wine and culture. He delights in sharing his contemporary winemaking experience with others, and traveling through the Rhone Valley, one of Europe’s most historic winegrowing regions. Please join Greg and Kristen Koenig for an unforgettable wine cruise and adventure down the Rhone River! Please note: The Colors of Provence Rhone River wine tour and cruise package has been specially designed for Koenig Vineyards by Tours & Wine (by Expanding Horizons of Tustin, California), our tour operator, and in conjunction with AmaWaterways. The pre and/or post cruise tour program will contain private meals, tours and/or visits to attractions. * These additional services are exclusive to guests on this cruise who book their reservations with Expanding Horizons. Persons booking with alternative travel agencies will not be included in these activities. * Exclusive events are based on a minimum of 20 paid guests.